There are several programs the band has to help raise fund for your personal account and the band overall fund. Look through the offerings and PLEASE sign up for those that don’t cost you anything! One of the best ways to support the band is to buy some of this year’s spirit wear. It’s a win-win for the band and for you as you represent the Pride of the West at games, competitions and around town. Scrip is a chance to earn a profit for your student every time you shop with a “no cost to you” fundraiser. Learn more on the Scrip fundraising page. Amazon Smile is a program through Amazon that offers the same wide selection of products, low prices, and convenient shopping features as a typical Amazon.com experience, only when West Forsyth Band families and friends shop on AmazonSmile at smile.amazon.com, the AmazonSmile Foundation will donate 0.5% of the purchase price of eligible products to our Booster Club! It couldn’t be easier. All items available for purchase on Amazon.com are also available on AmazonSmile at the same price. You will see eligible products marked “Eligible for AmazonSmile donation” on their product detail pages. how do i Shop with smile? Use this AmazonSmile smile.amazon.com link for ALL of your AmazonSmile purchases. The AmazonSmile smile.amazon.com link will take you to a screen that identifies West Forsyth Band Booster Club, Inc. as your AmazonSmile recipient. Add the user name and password for your existing Amazon account. NOTE: After your initial log in, always start at smile.amazon.com and Amazon will donate 0.5% of the price of your eligible AmazonSmile purchases. Help us earn FREE MONEY for the band!! Enroll (or re-enroll) for the Kroger Rewards Program! Last year, the band earned over $500 from just 44 families who registered their Kroger Savings Card to link to the West Forsyth Band Rewards account. Imagine if every band family registered and got their friends to register as well! It only takes 5 minutes of your time. *IF YOU ENROLLED LAST YEAR, PLEASE NOTE THAT YOU MUST RE-ENROLL EVERY YEAR. The program runs from August 1- July 31 annually. Kroger Plus Cards are available at the customer service desk in any Kroger. Members can register online at krogercommunityrewards.com. Most participants are new online customers, so they must click on SIGN UP TODAY in the ‘New Customer?’ box. Sign up for a Kroger rewards account by entering zip code, clicking on favorite store, entering your email address and creating password, agreeing to the terms and conditions. You will then get a message to check your email inbox and click on the link within the body of the email. Click on My Account and use your email address and password to proceed to the next step. 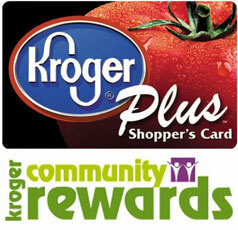 Click on Edit Kroger Community Rewards information and input your Kroger Plus card number. Update or confirm your information. Enter NPO number (NPO number 93924) or name of organization, select organization from list and click on confirm. To verify you are enrolled correctly, you will see your organization’s name on the right side of your information page. REMEMBER, purchases will not count for your group until after your member(s) register their card(s). Do you use your phone number at the register? Call 800-576-4377, select option 4 to get your Kroger Plus card number. To get started, click the button below: Register Online Publix Shopper Card Through Publix Partners, qualifying purchases made at participating Publix Super Markets using your Publix Partners Shopper Card, will help earn money for the West Forsyth Band. At the end of each quarter, Publix awards West Forsyth Band $250 for every $37,500 spent cumulatively by our participants. That’s just 50 participating families spending an average of $60 per week! PICK UP A PUBLIX SHOPPER CARD at Publix Customer Service or in the band room. PRESENT YOUR CARD to the cashier, before the end of checkout, every time you shop. Every cent you spend will help earn money for West Forsyth Band. * For every $37,500 spent cumulatively by our band family’s participants, Publix will award West Forsyth Band $250. WEST FORSYTH BAND WILL RECEIVE A CHECK as often as four times a year. If we don’t achieve a $250 payment in a quarter, any credit will be carried over to the next quarter. MONEY RAISED SUPPORTS OUR BAND PROGRAM by helping us buy much needed equipment and supplies. ALL GROCERY PURCHASES* ARE ELIGIBLE. 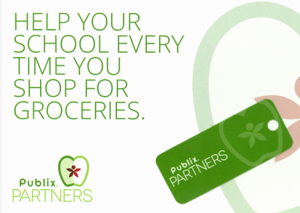 Similar programs might have restrictions, but with Publix Partners, all of the purchases you make at Publix help the band. FAMILY AND FRIENDS ARE WELCOME. Pick up a few extra cards for them. They can present cards linked to West Forsyth High School Band at any Publix (except in Florida). *Excludes all gift cards, alcohol, tobacco, lottery items, money services, postage stamps, prescriptions.